• New technologies - WOW! Adobe Spark - This Adobe format gives you the chance to create videos, graphics, and web pages seamlessly. You can also do it on the go with Adobe's apps that are available on most mobile devices. Adobe Spark has the options to create social graphics you can share on any of your social media sites. You can create videos as well to share on your blog, webpage or social media site. They give you a wide range of options you can use for free. 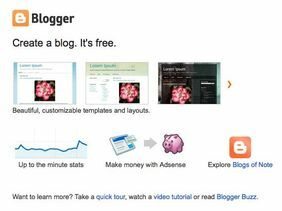 Blogger - Google's free blogging site. Google Sites: Build internal project hubs, team sites, public-facing websites, and more—all without designer, programmer, or IT help.With the new Google Sites, building websites is easy. Just drag content where you need it. Create a one-stop destination for all important information, including videos, images, calendars, presentations, documents, folders, and text. Then, quickly and securely share it with an entire organization or the world. Strikingly - Strikingly wants to help you make your impression online. They give you access to free tools to create a beautiful website for you or your business in minutes. You're not required to know any coding or have any design skills. Strikingly helps make your websites simple and easy to use and quick to build promising a beautiful website in under 30 minutes. Thimble is great for teachers as well, there are webpages you can remix that will help students learn different web writing skills. Tumblr - Turns out that when you make it easy to create interesting things, that’s exactly what people do. All those great, random blogs your friends send you, those are Tumblr blogs. We’ll help you find and follow blogs like that, and we’ll help other people find and follow yours. Tumblr gives you a very simple blog to use with social media. This blog has been known to be shared through Twitter, Facebook and even Instagram. Tumblr is a social media blog. You can blog awesome thoughts, pictures, gifs etc. in seconds and then share them just as easily on any social media site. Weebly - Weebly gives millions of people a surprisingly easy and affordable way to create a site that is as unique as they are. With a Weebly site, people can start their own business, communicate with their clients, showcase their achievements, and be an authority on personal and professional interests. Weebly gives everyone the freedom to start a site, blog or online store that works brilliantly across computers, phones and tablets. Offering a range of pricing options including a free plan and premium plans starting at $4/month, Weebly has everything you need to plan, build, publish and grow a site that meets your goals. Learn how to use Weebly on their great support page! Weebly - Easy to use as drag-n-drop. 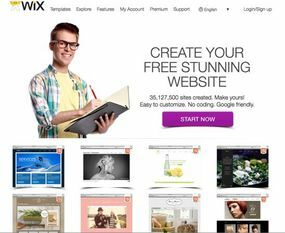 WIX - Free and easy website creation tool. WIX - At Wix, we believe everyone deserves to have their own stunning website with no coding or special design skills needed. Better yet, it should be free! Since 2006, our founders Avishai Abrahami, Nadav Abrahami and Giora Kaplan have brought this vision to life for over 25 million Wix users with a dedicated team of professionals based in Tel Aviv, New York, San Francisco, and Dnepropetrovsk. With 30,000 new users joining every day, Wix is growing quickly. We offer the only drag n' drop website building platform with HTML5 capabilities, 100s of designer made templates, top grade hosting, innovative Apps and tons of features for free. Learn how to use WIX from their wonderful support page! 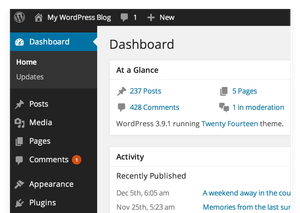 WordPress - WordPress.com lets you create beautiful and powerful websites or blogs, and it's free. There are premium plans, too, that give you even more control and customization options (and they all come as free trials, so you can try them out before you buy). They'll set up and configure your custom domain so that you can start using it in seconds. WordPress.com is optimized for Search Engine Optimization (SEO) and getting your site in front of searchers on Google, Bing, Yahoo, and others.